Food For Sharing – Flogging Delicious! When it comes to food, I am definitely a sharer – a habit that has been drilled into me from a young age, with an array of cold plates always ready and waiting in the fridge in case anyone dropped by unannounced, or ready to be enjoyed as a light dinner. 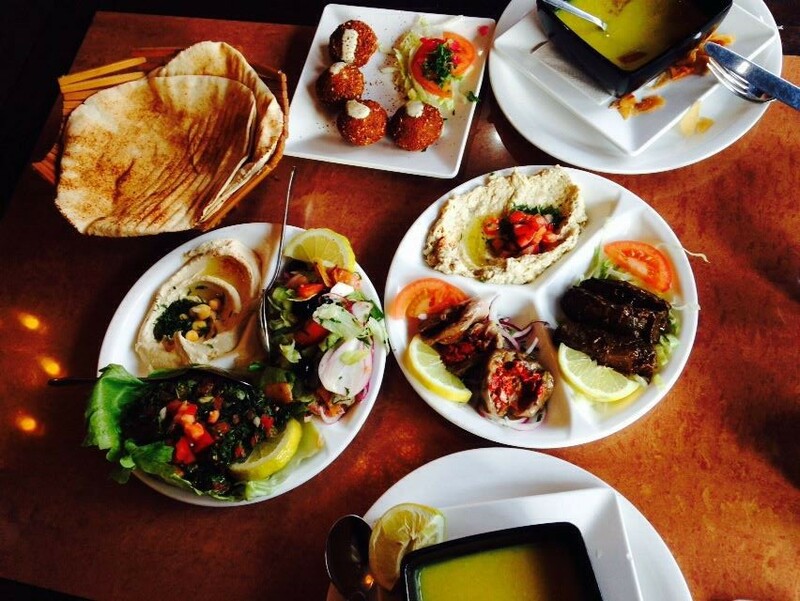 Mezze is typical of the Levant – these small plates are expected to be shared and consumed at ease, usually with generous servings of Arabic bread dunked right in. On a visit to Lebanon in my early teens, my cousins playfully mocked me for even bothering with serving spoons “you’re so polite! Just get stuck in and eat straight from the dishes. We do!” So, armed with my bread, I abandoned all British politeness and revelled in getting back to my roots. A place where I really feel that these eating traditions are observed and encouraged is at a gem of a restaurant found on the Uxbridge Road in London’s Shepherds Bush area. 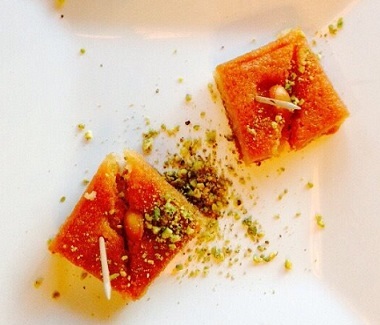 Abu Zaad offers authentic Damascene cuisine in huge portions and at very reasonable prices. Always packed, it successfully caters to the tastes of local Middle Eastern customers who are after a reminder of the tastes and flavours of home, with comforting dishes like Laban Immo and Hara Isbah appealing especially to Syrian visitors. You’ll find diners from all over though, my friends included, who hail from countries as diverse as China, Ghana, France and Denmark and who absolutely love getting stuck into a range of freshly prepared mezze dishes like Baba Ghanoush and Houmous, and the tangy, minty Tabbouleh on offer. I personally love their spicy potatoes cooked with chillies, garlic and coriander, and their Fattet Houmous, a delicious, garlic-filled, warm yoghurt dish prepared with chickpeas and crispy fried bread. Their cheese rolls are stuffed with creamy, salty cheese and wrapped in layers of filo pastry, fried until golden, perfectly crisp and served piping hot. They also have plenty of grilled meats, fish and traditional vegetable stews on offer, in addition to wraps packed full with grilled lamb, chicken, halloumi or falafel and bursting with pickles, salad and garlic sauce. 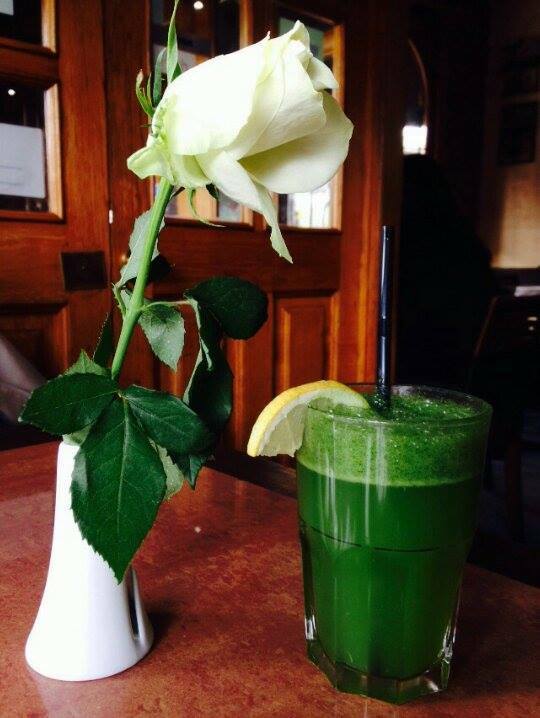 A range of fresh juices are also available; their lemon with mint juice drink, freshly juiced and blitzed to order, is a refreshing, sweet accompaniment to the meal, as is their Ayran, a savoury yoghurt drink mixed with fresh and dried herbs. What makes me keep coming back to this place though is not only their humble food and authenticity, but also their excellent service – the management is friendly and the staff so welcoming that we are often treated to mint tea and Arabic sweets on the house and made to feel like we can really relax and take our time. This truly is a place worth sharing, both in terms of food and experience.